On June 9 GrandWest donated R100000 worth of classroom equipment to the Peter Pan Down Syndrome Centre in Maitland. This donation forms part of Heart FM’s #16DaysForYouth. Peter Pan is an inclusive school for children with Down syndrome. There is a shortage of schools that can cope with children with special needs, especially in underprivileged communities, which makes this school so important. The school offers comprehensive day care and specialised learning facilities for children between two and seven years old. 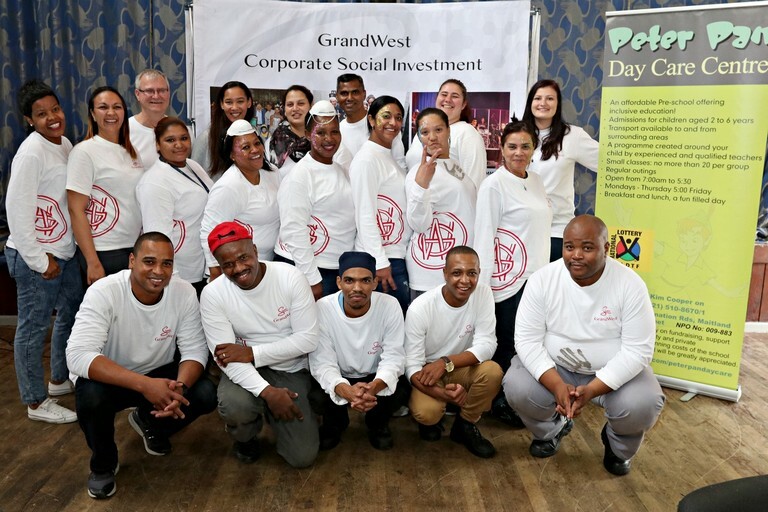 GrandWest provided the school with much-need bookshelves, carpets, mattresses and storage containers. The donation also included installing a soundproof dry wall to separate classrooms, replacing the hand basin in the bathroom, refurbishing skirting boards and repairing a leak.